Cities are Avoiding Hosting the Olympics. They Shouldn’t. The apple of every athlete’s eye, the Olympic Games direct the gaze of the world onto one host city every two years, showcasing the best that sport has to offer across both summer and winter events. In a haze of feel-good anticipation, the general buzz around the city before during the four week stretch is palpable, with tourists, media and athletes alike generating contributing to the fervour. With almost an almost exclusively positive public response (the majority of Olympic bids are met with 70% approval or higher), the Games become an opportunity for a nation to showcases their culture and all it has to offer. At first glance, it’s an opportunity you’d be a fool to miss. Yet as the dust settles, these ‘lucky’ host cities are often left with structures that lack the relevance and function of their initial, fleeting lives. Empty aquatics centers, derelict running tracks and rarely-used stadiums have become as much a trademark of the Games as the Rings, with the structural maintenance and social implications burdening former hosts for years to come. In recent years, fewer cities have been taking part in the bidding process, suggesting that the impact of the Games is beginning to catch up with the excitement. As many as 12 cities contended for the honor of hosting the 2004 games; only two were put forward for 2024/28. Mitigating the negative effects of hosting a games, there is hope that careful and inventive architectural approaches could bring back some interest and create more reasons to want the Games. But the stakes are high. Is even the most thoughtful, innovative, and sustainable design capable of generating one of the most profitable games since 1984? These days they require about 35 different athletic venues, they require an Olympic Village that could cost 1 1/2, 2, 3 billion dollars depending on the circumstance. They require a media and television production facility which could easily go for half a billion to a billion dollars. They require a media village. They require ceremonial space and green space. They require transportation amongst all of it and special lanes for the IOC executives, transportation amongst all of the venues. The financial challenges that host cities of an Olympic Games must face are complex and diverse. Construction costs are compounded by a cocktail of behind-the-scenes fees: delays, security and infrastructure to name but a few. Since London 1948 (which cost $30 million in today’s money), the price of hosting has increased in staggering amounts each year. 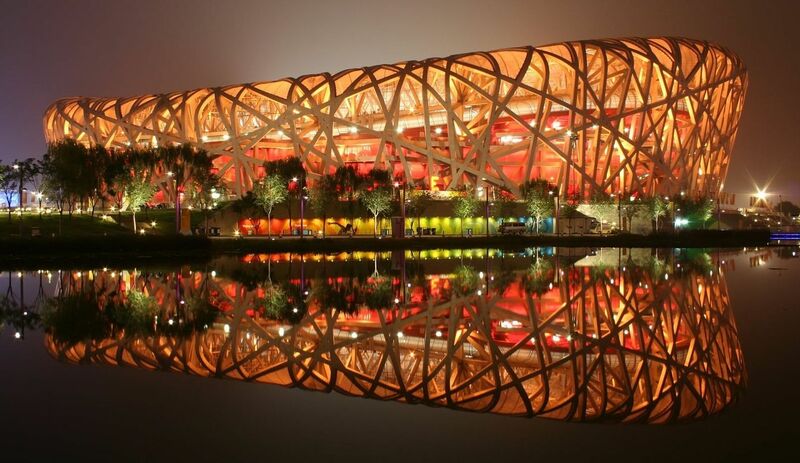 Beijing 2008 is estimated to have an overall cost of $40 billion. Today, many of the structures built for these games sit largely idle as glorified sculpture. 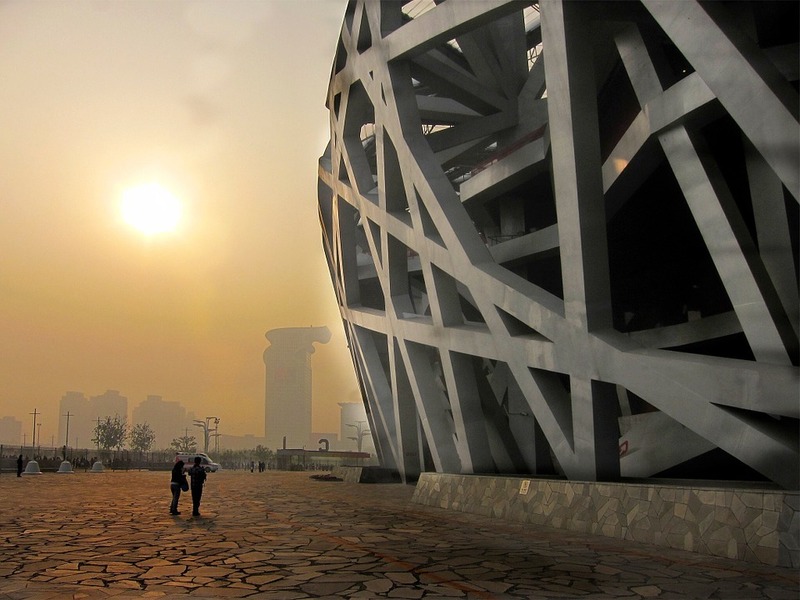 The Birds Nest, whose upkeep exceeds $11 million per year, has effectively become “a giant tourist attraction.” It is the fate of this building, designed by Swiss architects Herzog and de Meuron, that has helped fuel several anti-Olympic bids across the world. One especially vocal example of these movements took place in Boston, which after being recommended by the USOC, withdrew its bid following wide grassroots protests. As the IOC aims to spread the games further across the world, less developed areas are submitting aspirational applications which ignore realities of funding and the social implications that come with an Olympic games. Athens 2004 has been cited as a contributing factor in Greece’s recent economic turmoil, while 80% of the $50 billion budget of Sochi Winter Olympics in 2014 was spent on non-sport related infrastructure, such as airports, roads and hotels. Sochi also broke the record for percentage over budget, coming in at an eye-popping 289% more than expected. Los Angeles, which hosted in 1984, seems to be the only city in recent memory to have cracked the code of post-Games success. The city has since used the existing sporting arenas and infrastructure to cater for the mass of tourists and athletes. But few hosts are so lucky. London 2012, despite immense efforts to ensure the longevity of their facilities post-Games, spent $18 billion to see only $5.2 billion return. These low revenues can be attributed in part to the cut of the money the IOC takes – a staggering 70% for Rio 2016 – but also due to the perceived need to create iconic structures for a global stage. 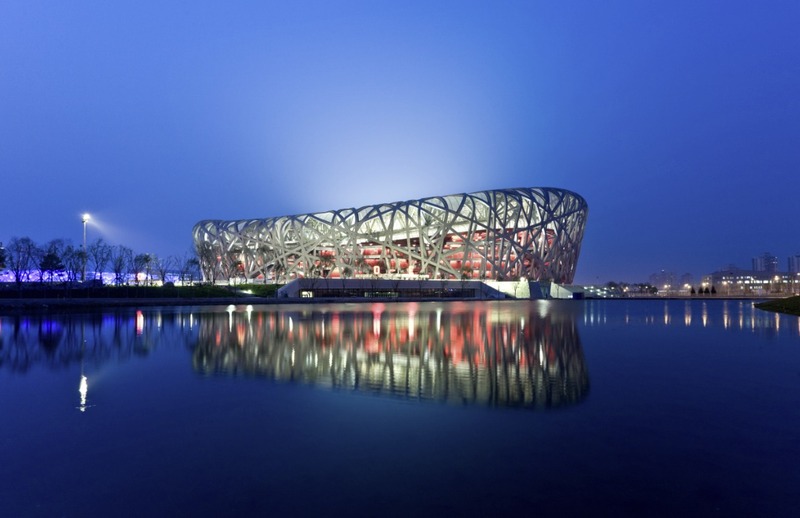 Designing the next Birds Nest is almost a prerequisite for a modern Olympics, but after Tokyo scrapped their Zaha Hadid showpiece stadium in response to extortionate rising costs, it seems clear that tastes have changed. The world is desperate for cost-effective, sustainable Olympic approaches. Architects have to become more than just designers of two dimensional facades or three dimensional architectural objects. We have to become designers of eco-systems systems of both ecology and economy. The visual nature of building and seemingly inevitable delays make architecture an easy target for complaints regarding the Olympics. And while architecture is far from solely responsible, there is an opportunity for architects to actively seek solutions. Perhaps a viable approach may be found in the ‘hedonistic sustainability’ made famous by BIG. Hedonistic architecture constitutes a sustainable product that both fulfills its function and improves the quality of life of its users. It is, by its very nature, multi-functional and lasting. 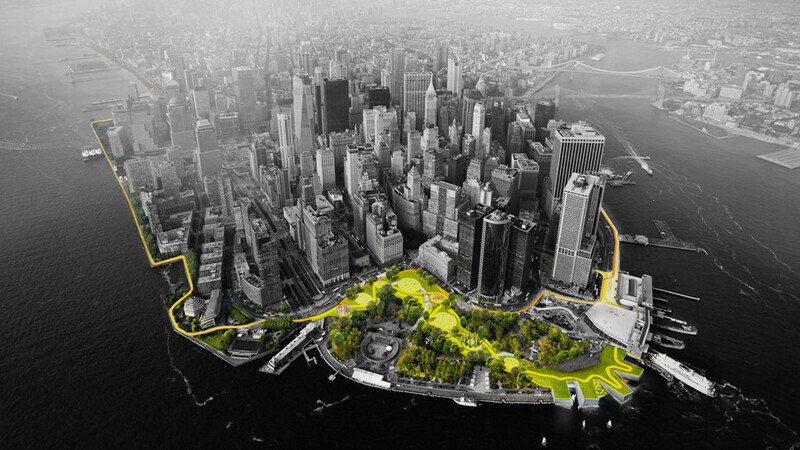 Many of BIG’s projects – in particular, the Aarhus Harbor and New York’s ‘the BIG U’ – take on large-scale urban problems with a kind of everyday magic, transforming the way we think about buildings, program, and even our own cultures. 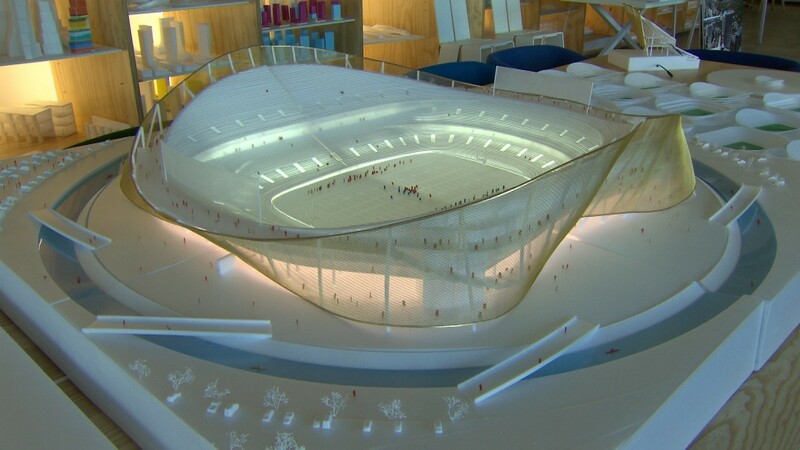 The proposed Washington Stadium by BIG highlights the benefits of hedonistic design in the adaptability of a structure. The terrain is stepped like an amphitheater, creating not only a unique parking area for match day, but also a natural vantage point from which to watch performances taking place underneath the undulating gold mesh facade that cloaks the structure. 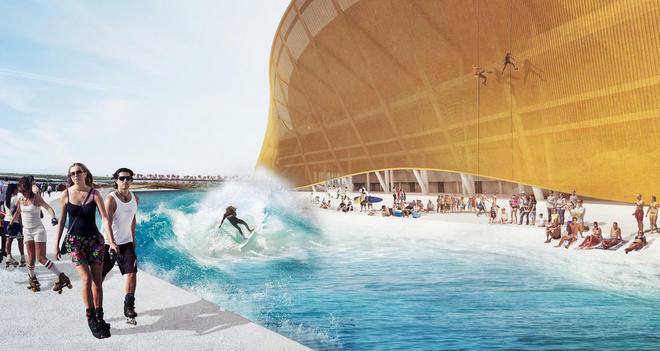 BIG’s trademark ‘architectural alchemy’ doesn’t stop there, as a moat separates the stadium from its surroundings, creating a space for future water sport events as well. The stadium’s use is envisioned to extend far beyond the season, becoming “a year-round destination.” When applied to an Olympic bid, this kind of sustainable multi-use thinking could drastically extend the timeline of functionality for the event’s key sites. 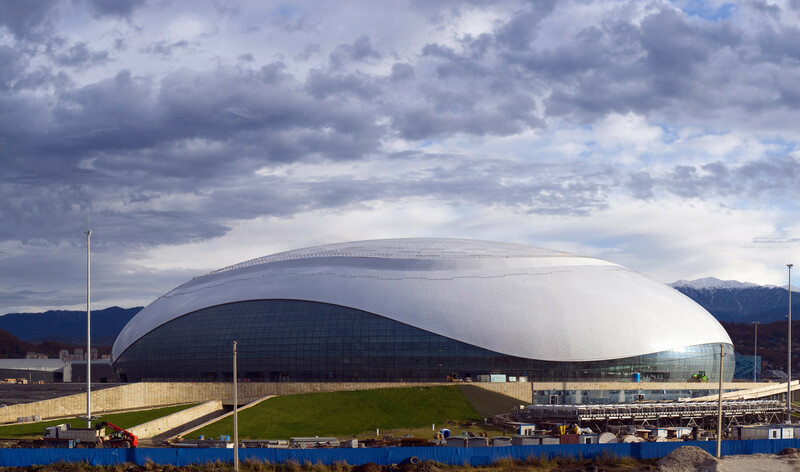 While adaptable design may offer functions to an Olympic venue beyond its initial use, non-permanent architectural interventions could offer simpler, more cost-effective solution to the rising cost of the short-lived event. Zaha Hadid’s London 2012 Aquatics Centre exhibited a partial temporary element – two stands being implemented along its long elevation to meet the IOC’s capacity standards – and this precedent has been carried through across many large sporting events. Taking this one step further, and incorporating the actual major venues and buildings into the temporary remit, could be an extremely sustainable and efficient alternative. 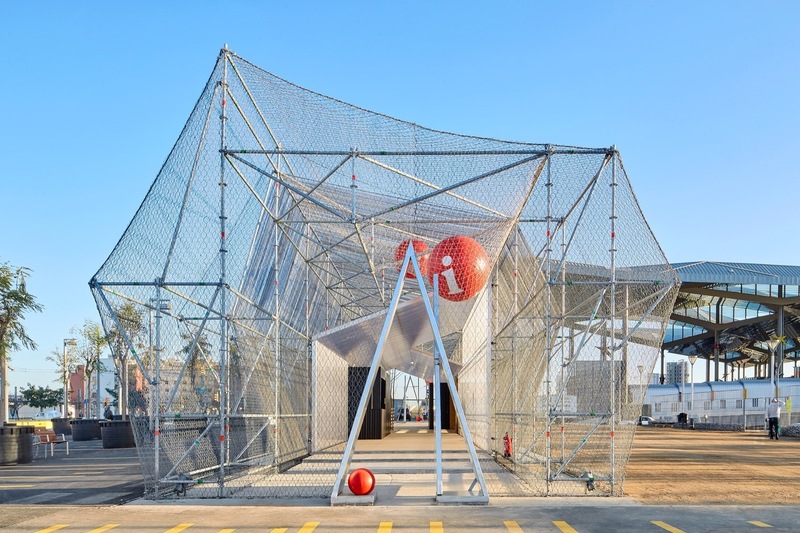 Projects such as Peris+Toral’s Scaffolding Systemspace in Barcelona, or Assemble’s Cineroleum and Yardhouse in London, show how temporary structures can still have a distinctive sense of place and engage the public, fulfilling a similar emotive criteria to their permanent Olympic counterparts. In an essay on temporary architecture, Shumi Bose says: “Pre-empting larger forces of gentrification and urban renewal, temporary architecture can act as a means of creating interest, a transition slide for what is yet to come.” Approaching an Olympic bid from this angle, where architecture and infrastructure act as a catalysts rather than permanent solutions, offers exciting possibilities to reinvision what the Olympics means for cities. Dismantled in the months after the event, structures could be designed with their specific functions in mind, knowing that the valuable land they sit on can be repurposed once they have gone. The energy of the area post-Games can be harnessed to better suit the needs of the citizens, not the needs of the media. This approach could lure more cities to host in the hope of developing their city’s ailing areas. And for those worried about the loss of Olympic monuments, iconic architecture need not be permanent to have an impact. The Serpentine Pavilions or Mies van der Rohe’s Barcelona Pavilion, whose mystique, memory and value long outlived the building’s original lifetime, are testaments to this. Previous large-scale interventions, such as MVRDV’s Stairs to Kriterion installation, approach the scale of interventions required by the Olympics and hint at the dramatic success such an installation can have on a city. 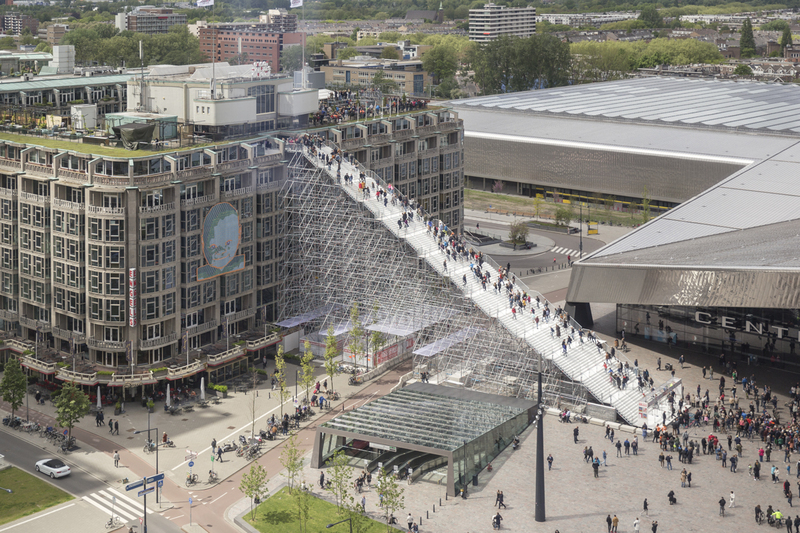 Installed in Rotterdam, 180 steps lead to the summit of one of the first buildings erected in the city following the Second World War, and allowed visitors to look out over a city that was almost entirely rebuilt following the conflict. The structure did not lack ambition, stretching 29m in height and 57m in length, yet it was completed barely over a month after the scheme was publicly confirmed. The speed of construction would make a happy change to the prolonged contracts usually associated with hosting the Olympics, and gives feasibility to calls for a temporary Olympic bid. With 38 new venues planned for Paris 2024, there are 38 opportunities in the near future alone to usher in a new era of Olympic design. Managing the finances of a nation and the insatiable appetite host cities have for new icons may be a struggle, but alternative approaches can only lead to more interest surrounding the games. Mixing several temporary structures with various existing infrastructural elements, all features thought about beyond their fleeting Olympic lifetime, could lead to a more financially positive Olympics. How fitting it might be if, by 2028 when Los Angeles hosts again after nearly half a century, we approach architecture and the Games with an outlook better suited to long-term urban development. If Tokyo 2020 and Beijing 2022 trend toward this approach, there is little doubt for renewed interest in the coming future.